Hidden in a large private concession in the northern section of Hwange National Park, Nehimba Lodge sits on the edge of two ecotone regions. With this great diversity in habitats right on your doorstep - explore the Kalahari Sandveld that dominates the south or take advantage of the seemingly endless Mopani forests spreading across the north of the National Park. This area is raw Africa, with large populations of elephant and buffalo. Plains game are plentiful with their accompanying predators following close behind. Lion, leopard, painted hunting dog (Wild Dog) and hyena all complete in the ultimate test of survival. Nehimba Lodge is only a 3.5 hour drive from Victoria Falls, with the majority of this drive being through the National Park. Making it very accessible to self-drive guests or via transfer to one of the National Parks gates where you will be met by a Nehimba vehicle which will then drive you into camp. Seven spacious thatched rooms, include a honeymoon suite and two family units. 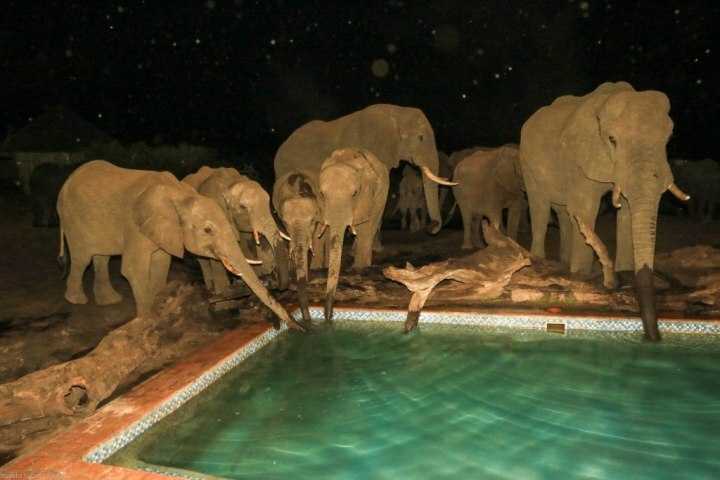 All are raised on wooden decks giving them a commanding view over an ever busy waterhole in front of the camp. A great diversity of fauna, both small and large are attracted to this water source as part of their daily route. Each of the rooms boast an en-suite bathroom, out-door shower and their own private balcony. The raised main area is tastefully decorated, and the swimming pool allows at least some relief from the African heat. 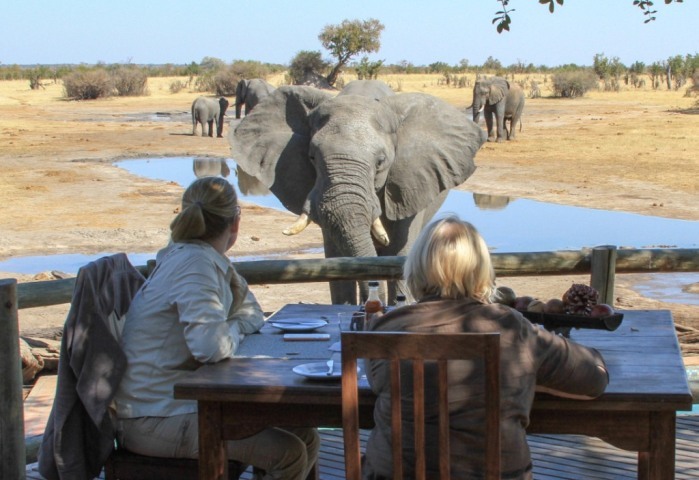 Nehimba is located in the heart of it's own large private concession in the centre of Hwange National Park. Explore the diversity this area offers with one of the camp's professional guides by game-drive vehicle or on foot for a more in-depth experience of the wonderful game park. Night-drives finish off the day and bring in a whole new array of nocturnal species. 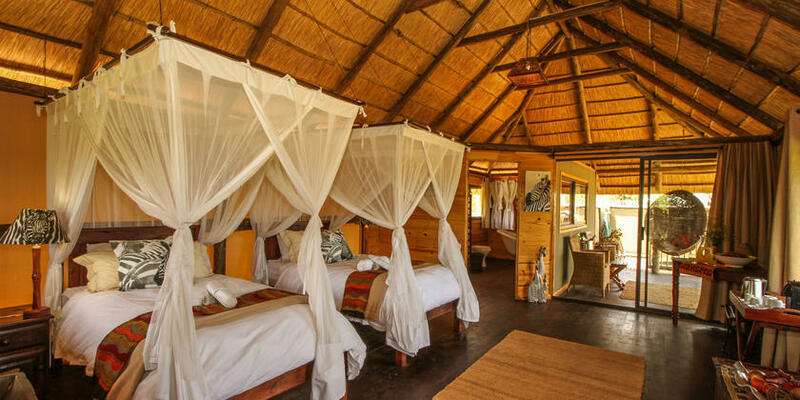 Nehimba Lodge is part of the Imvelo group which includes Bomani and Camelthorn in south Hwange, Zambezi Sands and Gorges lodge in Victoria Falls, which are some of our favourite places. The group maintains high standards and Nehimba is no exception. It is in a great private wildlife concession surrounded by national park ensuring your safari experience will be first class. Consistent excellent reviews demonstrate what a good camp this is in all aspects. 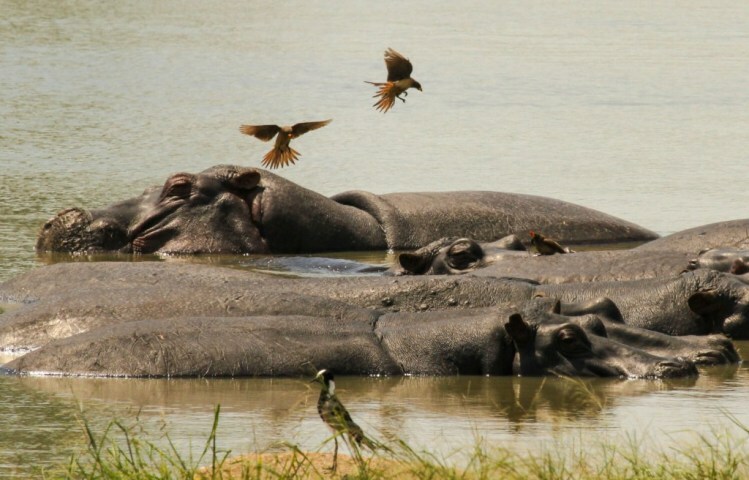 Access from Victoria Falls is relatively quick and easy by road transfer therefore reducing the cost of air charters. 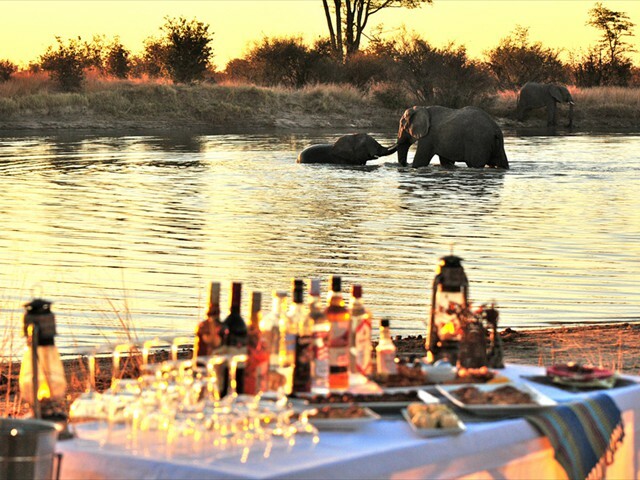 Pay for 2 / Stay for 3 specials make this camp the best value camp by far - especially in the high season and packaged together with one of their sister camps makes a truly excellent safari holiday combination. • Children under the age of 7 are only allowed by special arrangement. • Children under the age of 12 pay 50% of the adult rate and must share with an adult. Only 2 children are allowed to share a suite with an adult. 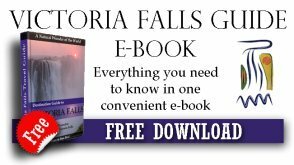 • Self-drivers: From Vic Falls enter via the Mbala gate and Sinamatella camp. From Bulawayo enter via Hwange Main Camp. Approximately 2.5 hours drive from either of these camps through the national park as Nehimba sits almost exactly in the middle. • Road transfer: Nehimba camp will collect from either Mbala boom or Main Camp at additional cost.